The blog below was written as a guest blog for Duct Tape Marketing by Laire Group founder Todd Laire. 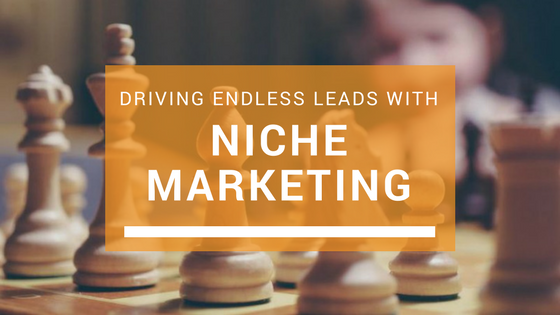 Read more below on how niche marketing can drive endless (and more qualified) client leads. You have to define your (narrow) target market then develop your niche to solve their problems using your special skill set and tools. Maybe your skills in photography and social media can help boost leads for landscaping companies. Maybe your organization and SEO knowledge can help local restaurants get more local foot traffic business. Would you rather have a dentist that is ok at everything, or is a specialist in a few specific areas that are important to you? Think about it like a marketer, what’s the first thing you do when you onboard a new client? You get to know them and help them clearly define their target audience so you can best tailor your messaging to their personas. That’s exactly what niche marketing is. As a kid, I never thought I would do creative marketing for dentists. I mean, what kid (or adult) wants to spend any more time than they have to in a dental office!? Sometime niches fall in your lap. 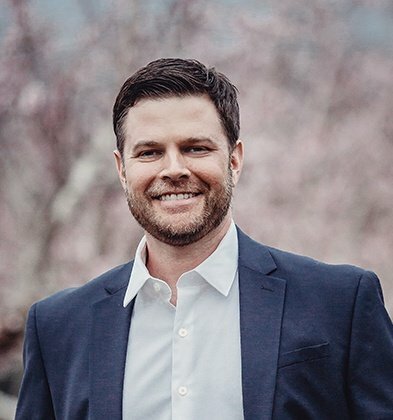 I can’t remember my first client, but I remember my first dental client because there have been so many referred to us since. Just like no one wants a cavity filled, most business owners don’t think about or even want a marketing plan. But both are a necessity. It’s not a nice to have, its a must have. As marketers, it is our job to not only keep up with our target market’s industry developments, research and current events, but to even get ahead of it. In niche marketing, it is much more localized and can become second nature. Niche markets exist around industries that require highly specific skill sets. It takes time to get to know dentists, their skills and capabilities, their tools and their needs. Taking the time to get to know the field really well can be hard. But you can do a much better job when you can dedicate your efforts to uninterrupted time to getting into the nitty gritty details. When you aren’t switching your concentration between clients of totally different specialties/markets/industries, you have more time to create personalized content for your niche clients. You can make more personal relationships with your clients and get to know each individual brand instead of playing catch-up on all the lingo and nuances of their business. You get deeper into your clients’ distinctions, their unique solutions to their clients’ specific problem statements and their personality. Branding, Branding, Branding. Making these relationships with your clients helps with trust; client involvement in content creation, messaging and engagement; and better marketing overall. Now you can take the time to really get to know your clients (and their clients or patients), not just their industry, and in turn, develop a true understanding of their target market’s pain statements. Personally, I think it is WAY more fun (and effective) to do a really deep dive of every client’s hopes, dreams, goals, and personalities to really find what makes them unique or remarkable. Isn’t that what marketing is all about? Find what makes your clients stand out from the pack and market it like crazy! Your job then starts the movement away from looking for influencers to help you generate content, to you and your client becoming the influencers. Your Clients’ Competition Competition is always something marketers keep in the forefront of their marketing plans. We take great care to make sure we are aware of what our clients’ competition is doing in both their business and marketing strategies. What services are our clients offering that are different from their competitors? How are our clients’ competitors engaging their target audiences? What are each of the competitors saying they’re the best at? While this is true of all marketing, niche marketing has an added level of competition. If your niche market has a local specialty, take our LGM example of dentistry, you have to be careful of taking on clients that are geographically competitive to your existing clients. Everyone, everywhere needs a dentist, and at home for us in Charlotte, NC you can find a dentist or three in any given neighborhood. Being sensitive to your clients and their competitors as you continue your client search is key. Your Competition As for your personal competition, concentrating your marketing efforts on your niche can be much more fulfilling than casting a wide net over “anyone with a marketing need.” By setting yourself or your agency up as a marketing expert in a field or category of fields (like professional services), you are automatically selling yourself as a dedicated and knowledgeable asset to your prospects. With niche marketing we can take that one step further. By focusing your efforts on clients in similar fields, you lessen the learning curve it takes (for you and for your client) to get to know each other’s businesses. You’ve already been asked all of the questions and developed informative answers clients in your field will ask. You can spend less time asking questions about what their business is and get straight to their office or practice’s needs. Here is your chance to get creative! Sure, there are only so many interesting articles and national authorities we can look to for inspiring dental content in our example. When sharing compelling content from similar clients in the same area you have to be inventive. This is where individually branding each client is extremely important. Consider this: you have all of these dental practices on your client list. How do you keep new and unique content flowing through each client’s social media and website? Branding. Exposure. And results. The branding process works hand-in-hand with your super honed skill of really getting to know your clients’ personalities. Some of your clients may take a more professional route while others take a quirky approach. Keep in mind, all dentists or clients are not created equal. Branding for an older, conservative client is different from branding for a neighborhood, family-oriented client, which is different from branding for a young, hip urban client. Ready to assess and then grow your business? To help you get started you can download our FREE guide: Inbound Marketing Checklist.